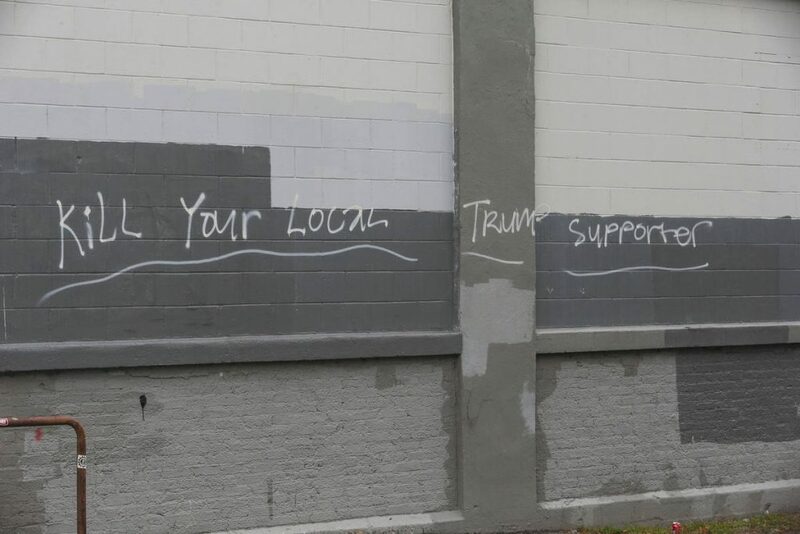 A “Kill Your Local Trump Supporter” graffiti was spray-painted in white letters 20 feet long on School of the Museum of Fine Arts property on St. Alphonsus Street. It’s unclear when the graffiti first appeared on the side of a gray building in Mission Hill that houses studio and exhibition space for the school. The message faced the parking lot of an adjacent building, and was visible from a sidewalk. It was painted over late this morning. Sam Lovett-Perkins, 21, a nursing major at Northeastern University, said he walks by the building daily on his way home from classes, but noticed the graffiti for the first time this morning.